We are delighted to announce that the winner of December’s ‘Fight Food Waste’ pledge is Viv from Northampton General Hospital. 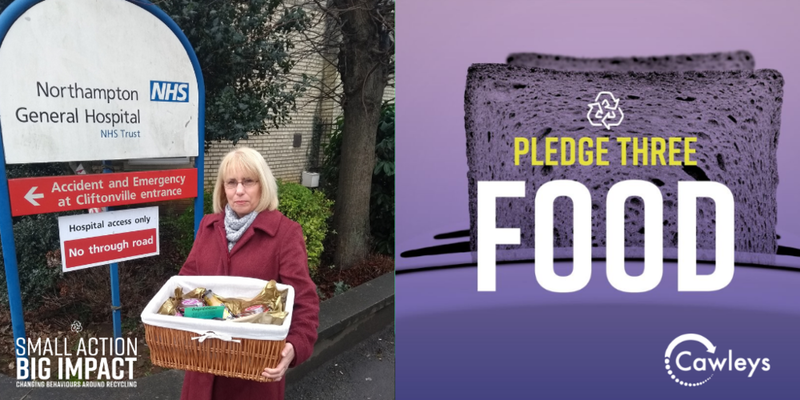 Viv was inspired to pledge in December to reduce her food waste from emails she received from Cawleys after signing up to updates following the recyclable water bottle initiative rolled out at Northampton General Hospital last year. When asked for her top tips to help keep food waste to a minimum, Viv advised “Meal planning is vital to keep me on track for what we eat everyday so that we only buy what we need and I know what I’m cooking. Having a 7 month old border terrier puppy also helps with any food waste issues at present!” Viv also usually cooks from scratch and freezes left over meals or uses extra meat and vegetables in curries or soups. Want to be in with a chance of winning this months prize? Click here to make your pledge to Recycle this January. Good luck!